* Product may vary The 293-345-30 Mitutoyo MDC Electronic Micrometer with Ratchet Thimble and Sta..
* Product may vary The 293-348-30 Mitutoyo MDC Electronic Micrometer with Friction Thimble 0-1"/0..
* Product may vary The 293-349-30 Mitutoyo MDC Electronic Micrometer with Ratchet Thimble 0-1"/0-.. The 293-782 Mitutoyo Digimatic Micrometer, 12-13"/304.8-330.2mm is on sale at Gaging.com! We are aut.. 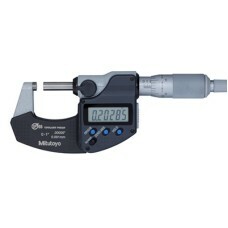 The 293-783 Mitutoyo Digimatic Micrometer, 13-14"/330.2-355.6mm is on sale at Gaging.com! We are aut.. 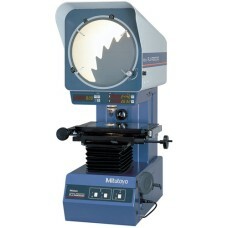 The 293-784 Mitutoyo Digimatic Micrometer, 14-15"/355.6-381mm is on sale at Gaging.com! We are autho.. 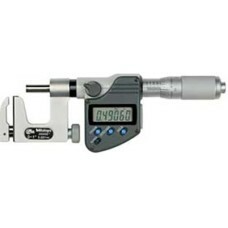 The 293-785 Mitutoyo Digimatic Micrometer, 15-16"/381-406.4mm is on sale at Gaging.com! We are autho.. 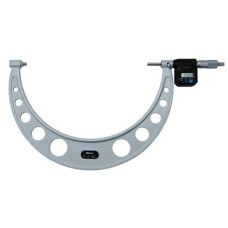 The 293-786 Mitutoyo Digimatic Micrometer, 16-17"/406.4-431.8mm is on sale at Gaging.com! We are aut.. 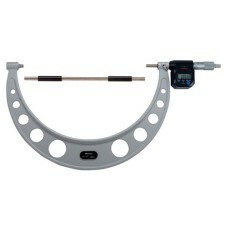 The 293-787 Mitutoyo Digimatic Micrometer, 17-18"/431.8-457.2mm is on sale at Gaging.com! We are aut.. 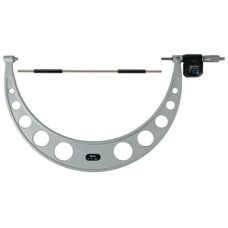 The 293-788 Mitutoyo Digimatic Micrometer, 18-19"/457.2-482.6mm is on sale at Gaging.com! We are aut.. 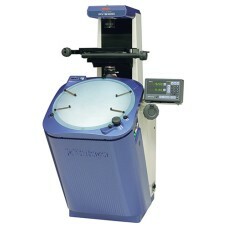 The 304-919A Mitutoyo PV-5110 Optical Comparator is on sale at Gaging.com! We are authorized Mituto.. The 317-351-30 Mitutoyo Uni-Mike Micrometer, 0-1"/0-25.4mm is on sale at Gaging.com! We are authoriz..